From the time your mushrooms start growing, they should double in size every day. They will be ready to pick after about a week. Pick the mushrooms while the edges of the caps are still curled down. If you leave the mushrooms to grow bigger, you will end up with poorer quality mushrooms. 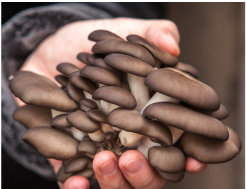 Pick all the mushrooms at the same time by carefully twisting them off at the base. Don’t cut the mushrooms off at the base, this may cause stump rot, and a rotten stump means fewer mushrooms on your next flush. Your mushrooms will keep up to a week in the fridge. 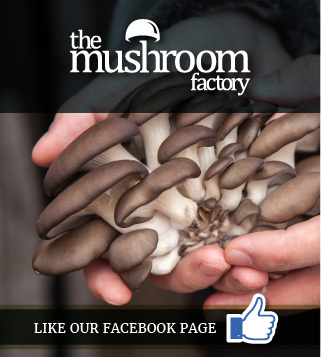 Once you've picked your mushrooms, wrap them in a damp (not wet) paper towel and put them in a brown paper bag. (This stops them from drying out).Keep your mushrooms at the bottom of the fridge with the other veggies (It isn't as cold as the rest of the fridge). Don't store your fresh mushrooms in airtight containers - they cause condensation, which will make your mushrooms soggy. Freezing your mushrooms will allow them to keep their great flavor, but freezing leaves you with a soggier looking mushroom. Frozen mushrooms are ideal for soups, stews and casseroles. 1. Bring 1 l of water to the boil with ½ a teaspoon of salt. 4. Freeze in a freezer friendly bag or container. Stored properly, dried mushrooms have a more potent flavor than fresh ones. 2. Slice your mushrooms into ½ cm slices and arrange in a single layer on a baking tray. 3. Bake for about one hour each side regularly dabbing away any moisture sweated out from your mushrooms until they are dry. 4. Allow them to cool, and then store them in an air-tight container in a cool, dark place. Put your mushrooms in a bowl of warm water for 30 minute or if you are in a hurry, bring a pot of water to the boil and simmer your mushrooms for 10 minutes Keep this liquid for stocks, soups and sauces by pouring the liquid into an ice tray and freezing. When you need it, just pop the frozen stock into the pot.